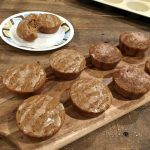 Egg and Dairy Free Simple Applesauce Maple Muffins – Love these simple applesauce maple muffins. Made with healthy ingredients and so simple to make. Totally delicious. Enjoy! Sometimes when experimenting with recipes, one really stands out on how simple it was to throw together. This muffin recipe is just that. 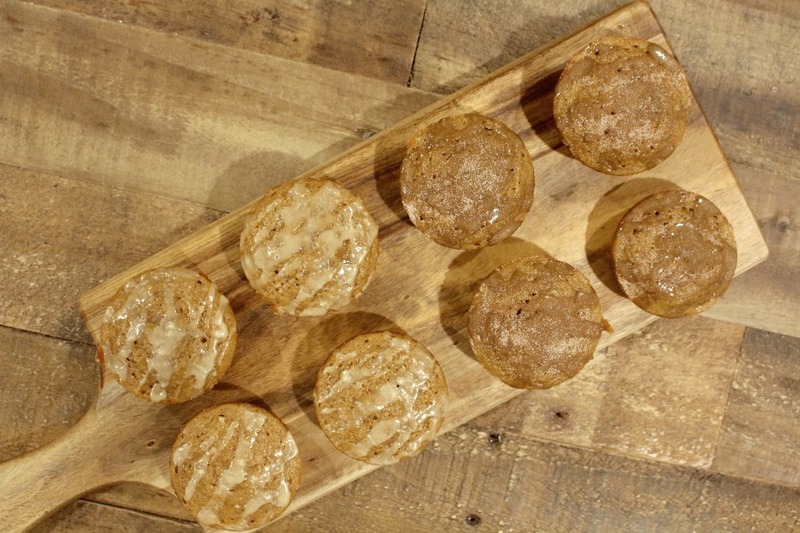 They are super enticing as any muffin without adding any eggs or dairy which makes them vegan. A real comforting muffin. Just enough warm spices. Not too sweet yet sweet enough. You will like how versatile this recipe is as well. Toss in your favorite dried fruits or nuts for some added textures. These little gems stay on the flatter and smaller side. They are healthy and just the right size to enjoy two at a time. Go ahead and bake a batch, watch them disappear. They’re that yummy! Preheat oven to 350 degrees, spray a nonstick muffin pan with coconut or any vegetable cooking spray. Set pan aside. In a large mixing bowl, combine the flax with water. Mix until combined and let sit in bowl for a few minutes to thicken up just a bit. Add in applesauce, oil, milk, maple syrup, sugar and vanilla extract. Use a whisk to combine everything. Now, add in all dry ingredients. Flour, baking powder and soda, salt, cinnamon and nutmeg. With a rubber spatula, combine well. Dig down deep to combine all the wet into the dry. Try not to over mix. The batter will be slightly lumpy. Scoop into muffin cups. 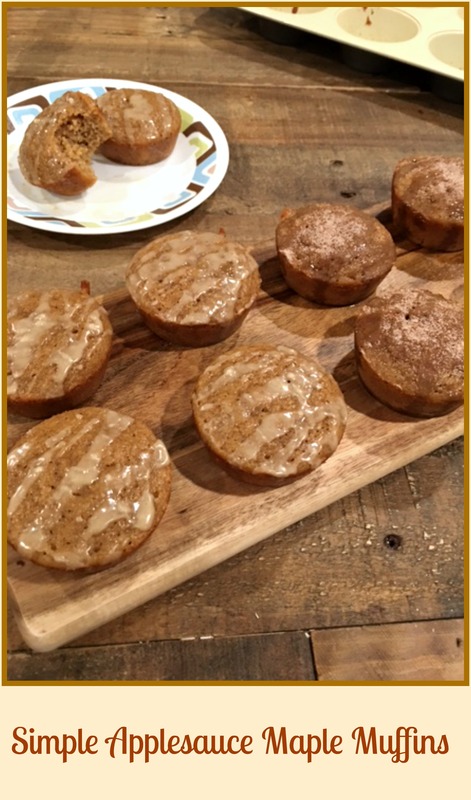 (sprinkle sugar over muffins if using) Bake for about 11-14 minutes or 7 to 10 for minis. Try not to over bake. The muffins are done when gently touched on top and they spring back. A toothpick should come out with moist to dry crumbs. Let cool in pan for about 10 -15 minutes. Invert onto a wire rack. To make glaze, combine ingredients and slowly add a teaspoon of water. Using a fork or mini whisk. Combine until smooth. Add more water one teaspoon at a time. Using a fork, drizzle over muffins. Let set up. *Recipe Note : Store in fridge up to 3 days. Take out and microwave for 7 seconds if you want them warm. They do taste great cold though. Enjoy the applesauce maple deliciousness! 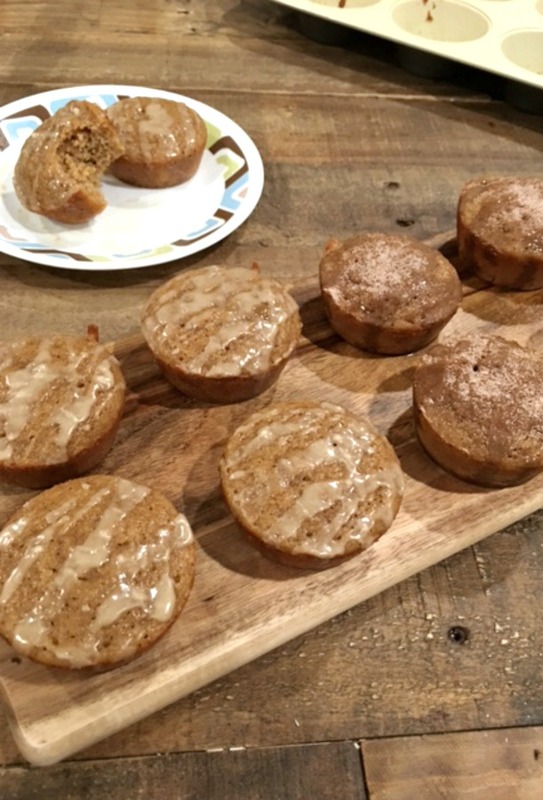 Love these simple applesauce maple muffins. Made with healthy ingredients and so simple to make. Totally delicious. Enjoy! 1.Preheat oven to 350 degrees, spray a nonstick muffin pan with coconut or any vegetable cooking spray. Set pan aside. 2.In a large mixing bowl, combine the flax with water. Mix until combined and let sit in bowl for a few minutes to thicken up just a bit. 3.Add in applesauce, oil, milk, maple syrup, sugar and vanilla extract. Use a whisk to combine everything. 4.Now, add in all dry ingredients. Flour, baking powder and soda, salt, cinnamon and nutmeg. With a rubber spatula, combine well. Dig down deep to combine all the wet into the dry. Try not to over mix. The batter will be slightly lumpy. 5.Scoop into muffin cups. (sprinkle sugar over muffins if using) Bake for about 11-14 minutes or 7 to 10 for minis. Try not to over bake. The muffins are done when gently touched on top and they spring back. A toothpick should come out with moist to dry crumbs. Let cool in pan for about 10 -15 minutes. Invert onto a wire rack. 6.To make glaze, combine ingredients and slowly add a teaspoon of water. Using a fork or mini whisk. Combine until smooth. Add more water one teaspoon at a time. Using a fork, drizzle over muffins. Let set up. Enjoy! Store in fridge up to 3 days. Take out and microwave for 7 seconds if you want them warm. They do taste great cold though.